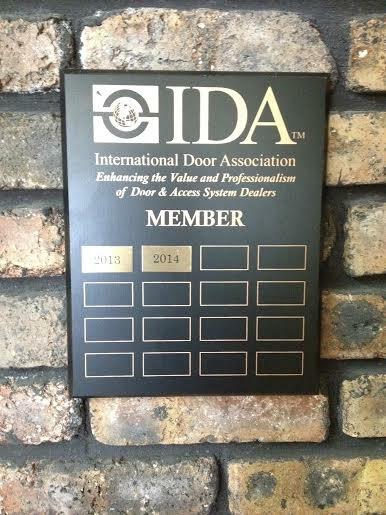 As an IDA (International Door Association) member, AAA DoorTeks is able to frequently update our education on garage door safety, construction, installation, and repair. Especially when it comes to providing exceptional service & exceptional value, the IDA gives us a lot of resources that allow us to better service our customers and ways to keep your home safe against intruders. Case in point, we recently received an alarming email alerting us at a news anchor in San Antonio, Texas was encouraging citizens to use a zip-tie and cut off the emergency release rope and handle. Not only is this contrary to the federally-mandated UL 325 safety standard, but it is extremely dangerous! The emergency release is designed to save lives in case a child, adult, or pet is pinned under the garage door. The IDA has composed a top-10 list “Safe & Secure Tips For Garage Door Owners”, and we would like to share it with you! never be modified, including the addition of a zip-tie for the purpose of security. 3.Removing the red handle is not recommended and strongly discouraged. The handle is required by UL 325 and federal law. It is there for emergencies such as a child being entrapped under the door. 4. If you wish, frosting your garage door windows (if applicable) will obscure visibility into your garage. 5. By adding a motion-sensing exterior light outside your garage, unwanted guests are less likely to attempt entry into your garage at night. 6. Leaving the remote control to your garage door operator in your automobile can be an invitation to a thief or undesirable person to enter your house; just like leaving the key to your house in plain view. headaches and dollars in the future. 8. Check the surroundings of the roller tracks. Move items that may come in contact with a moving door such as a shovel, broom or lawn edger. 9.Have your garage door monitored by a security system just as you would any other door or window in your home, and/or install a garage door monitoring system to help you remember to close your garage door. 10. A very basic and simple tip: remembering to keep your garage door closed can help you protect your home and property. If you must have your garage door open, lock the pass door between the home and the garage. Did you see our recent article in Inside Geneva magazine? We were interviewed regarding common garage door issues and ways to do some DIY diagnostics before calling 1-800-Tek-Teks and focus on Inside Geneva IL Garage Door Repair. Located in Geneva, we are very familiar with the weather and climate for Northern Illinois. 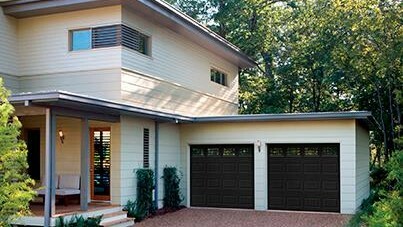 Are you interested in Inside Geneva IL Garage Door Repair? Whether you’re experiencing problems with mice or other rodents getting inside your garage or if it looks or sounds like your garage door opener might fall off the ceiling, we can diagnose your ailments. If you have questions, we’re always here to help you. Although we deal with our fair share of residential issues with garage doors, did you know we come from 30+ years experience from commercial and industrial clients? Our parent company, Conveyor Installations, has been building automation integration systems for giant distribution centers around the Midwest, so we know the industry. We design solutions for truck docks, seals and shelters, and levelers. We also specialize in curtain or partition walls, whether you are searching food grade curtains, wood working curtains, or pharmaceutical-grade solutions, we have excellent representatives from Goff’s Curtain Walls that can complete your project with exceptional value & service. You can read the full April 2014 issue here to learn more about Inside Geneva IL Garage Door Repair. Sometimes, Winter can be intimidating, and we didn’t want Spring to get the wrong idea, like we actually wanted a polar vortex for 6 months out of the year. Before we explain some things about springs, it’s important to state that we were obsessed with anything else that involves a small motor and a belt a long time ago. Our parent company, Conveyor Installations, also located in Geneva, has been in business for more than 30 years. That’s a lot of mechanical experience, so we truly are your installation experts, which now, leads us to the topic of the blog, springs. Most garages have them, but not too many people know what they do, how they wind, and that a faulty spring is the reason for most garage door repairs. Even before the opener and the chain, the spring is responsible for the majority of the leg work of opening and closing your garage door. It is also one of the most dangerous mechanical mechanisms in your house. Even for our technicians, when they are winding new springs, they use special tools and extreme caution to ensure their safety. 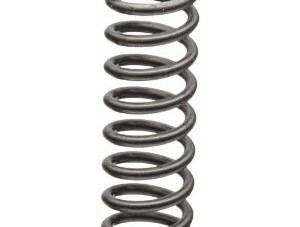 If my springs are noisy, does that mean they need to be replaced? No, not necessarily. Again, anyone should use extreme caution when going anywhere near garage springs, but if you’d like to spray them with a lubrication, DO NOT USE WD-40! It is actually a degreaser, what you need is a lithium-based spray, found at the Geneva Ace Hardware. If the noise continues, then it’s time to call 1-800-Tek-Teks! AAA DoorTeks Commercial During The Big Game! There is something rejuvenating about January. A fresh start, new goals, failing to work out 5 days a week like I promised I would on December 31st; it’s great! But personal resolutions aside, January at AAA DoorTeks has been non-stop with expanding our clientele, new partnerships and new products. With this accreditation, we have taken full advantage of training programs, webinars, EXPOS and educational seminars, to improve our customer satisfaction and to grow as professionals. If you are considering remodeling your garage door or installing a new dock or fire door for your business, it is essential that you choose a company representing the International Door Association. They offer the proper certification and educational material needed for the job to be done correctly, the first time. 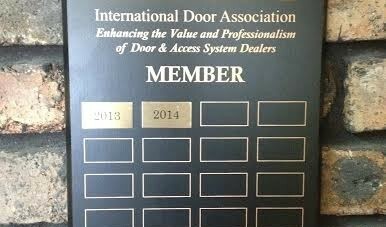 Today, our 2014 IDA plaque arrived in the mail! We’re very excited to extend our membership into 2014 and cannot wait to continue to grow as a company to offer exceptional service paired with exceptional value.